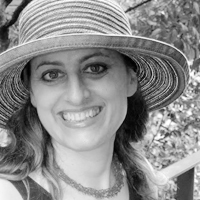 Leza Lowitz is the author of #1 amazon best-seller, Yoga Poems: Lines to Unfold By, and 17 other books, including Jet Black and the Ninja Wind, which received the 2014 APALA Award in Young Adult Literature. A former lecturer at the University of Tokyo, Lowitz has written for The New York Times online, The Huffington Post, Shambhala Sun, Kyoto Journal, Harpers, Art in America, NPR`s The Sound of Writing, NHK and The Japan Times, among others. She’s received the PEN Josephine Miles Poetry Award, the PEN Syndicated Fiction Award, NEA, NEH and California Arts Council grants. Lowitz’s memoir on mid-life motherhood, yoga and adoption is forthcoming in Spring, 2015 from Stone Bridge Press. Her Young Adult novel, Up From The Sea, about the March 11, 2011 earthquake and tsunami, is forthcoming from Crown Children’s /Random House in 2016. Her middle grade novel is forthcoming in 2017. She also runs Sun and Moon Yoga in Tokyo, which she founded in 2003. www.lezalowitz.com.